I have been working in the dental field for more than 25 years and was pleased to join this practice in 2009. 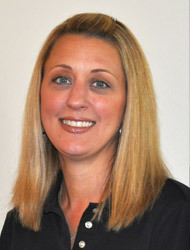 As our office manager, I oversee the day-to-day operations of the practice, such as scheduling new and existing patient appointments, all aspects of the finances and insurance, and helping Dr. Adams with ideas for making Adams Orthodontics a success. I enjoy interacting with our patients and their families and watching the transformation of their beautiful smiles. Working with Dr. Adams and the rest of our staff is such a pleasure; we are a great team that truly cares for one another and our patients. When I’m not in the office, I enjoy spending time with my family, friends, and dogs. I also like cooking, watching TV, and relaxing on the beach or by the pool. 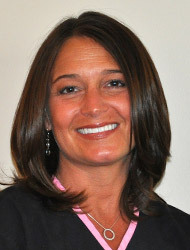 I joined Adams Orthodontics in 1999 and have a total of 30 years of experience in dentistry and orthodontics. I interact one-on-one with patients in the clinic, assisting with placing braces and adjustments, giving home care instructions, retainer fabrication, and anything else that needs to be done. I love working with our patients—seeing the excitement when they get their braces off and see their beautiful new smile! We have an awesome team here at Adams Orthodontics; not only do we all work really well together, but we have fun doing our jobs every day! I enjoy spending time with my family and friends, especially my daughter Olivia, my significant other Tom, and our dog Lola. I love to cook and enjoy entertaining, playing games, gardening, knitting, and traveling when we get the chance. I'm also a big fan of the Eagles! I am responsible for all our office’s bookkeeping and human resources support. My main goal is to keep the practice organized and functioning to its highest potential. I started working with Dr. Adams when he acquired his own practice way back when, but have more than 20 years of experience working in the dental field. Working these past years with Dr. Adams has been wonderful. He is patient, kind, and always willing to listen. I have been happily married for 24 years and have two children. I love being there for all of their activities. I am also an animal lover and have one horse, three dogs, and a cat. I started my career working in the healthcare field as a medical assistant, and switched careers to general dental assisting in 2005. I became a part of Dr. Adams’ team in 2014. I am responsible for all aspects of our patients’ clinical care, which includes discussing home-care instructions, assisting Dr. Adams with placing braces or other appliances, sterilization, and taking X-rays and diagnostic records. I really enjoy interacting with our patients and seeing them happy with the results of their treatment. I also feel very fortunate to work with such an amazing team of people. 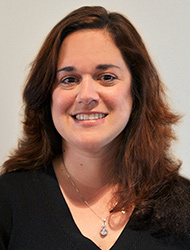 Dr. Adams is caring, easy going, and really interacts well with patients of all ages. I was recently married in May of 2016. I love to spend time with my family, friends, and my dog Laci. One of my favorite places to be is at the shore! I work at our front desk where I schedule appointments, check on insurance coverage, and post payments. 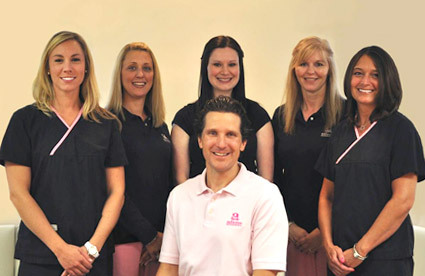 I began working in dentistry in 1993 and after 22 years, I joined the Adams Orthodontics team. I understand that our patients have busy lives, so I work hard to make every appointment at a convenient time while also making sure that Dr. Adams has ample time to spend with his patients. The best part of my job is seeing all the smiles! We have a lot of fun while we work, with each other and with our patients! When I’m not in the office, I love spending time with my husband Michael and our daughter Raina. We also have two dogs, Walter and Hanna. My free time is spent cooking, cake decorating, and gardening.